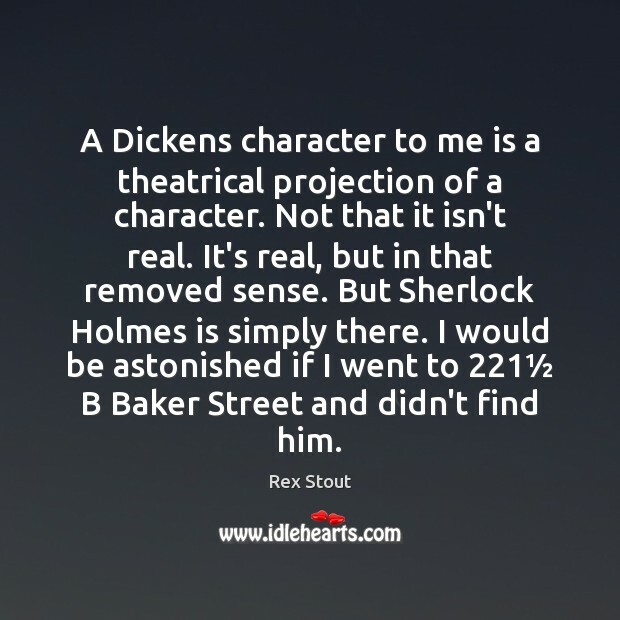 Quotations about Baker Street. Quotes to stimulate mind and drive action! Use the words and quote images to feed your brain inspiring things daily! Why do all the clerks and navvies in the railway trains look so sad and tired, so very sad and tired? I will tell you. It is because they know that the train is going right. It is because they know that whatever place they have taken a ticket for that place they will reach. It is because after they have passed Sloane Square they know that the next station must be Victoria, and nothing but Victoria. Oh, their wild rapture! 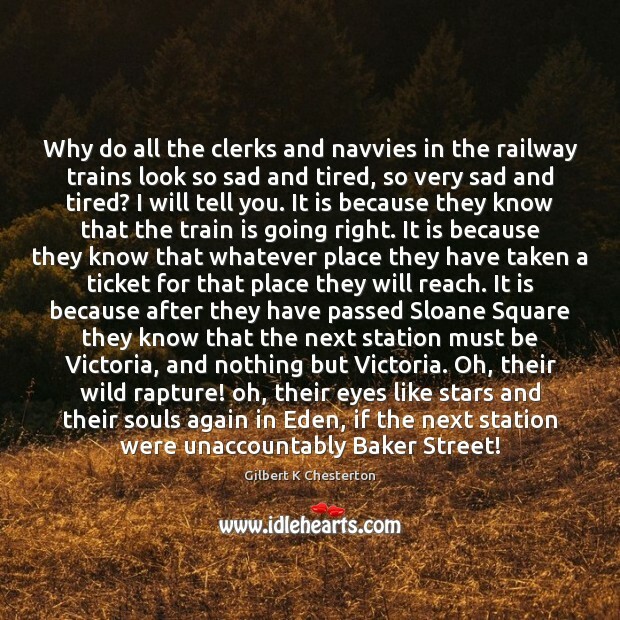 oh, their eyes like stars and their souls again in Eden, if the next station were unaccountably Baker Street! 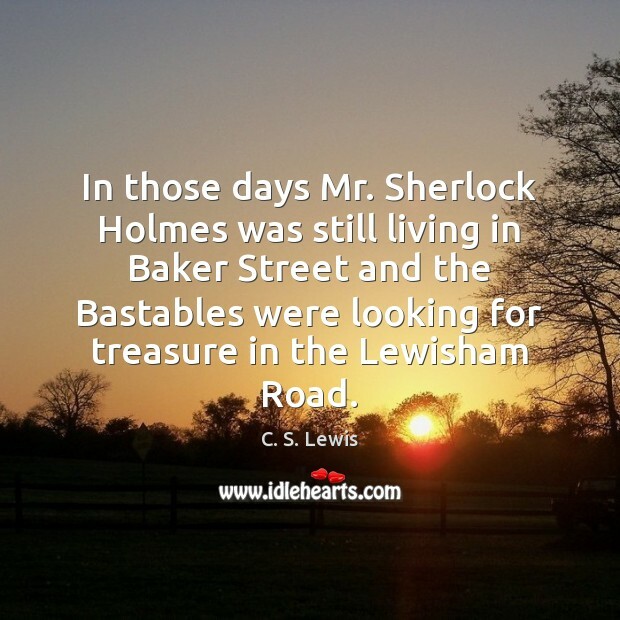 In those days Mr. Sherlock Holmes was still living in Baker Street and the Bastables were looking for treasure in the Lewisham Road. 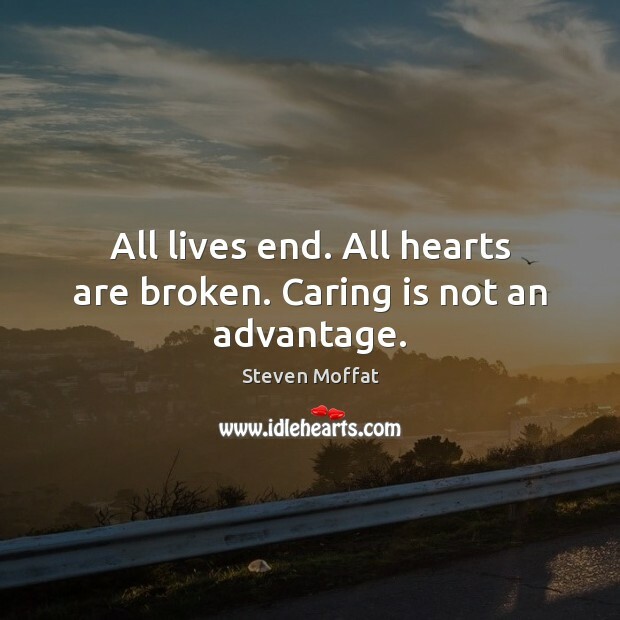 But there can be no grave for Sherlock Holmes and Doctor Watson...Shall they not always live in Baker Street? Are they not there this moment, as one writes? Outside, the hansoms rattle through the rain, and Moriarty plans his latest devilry. 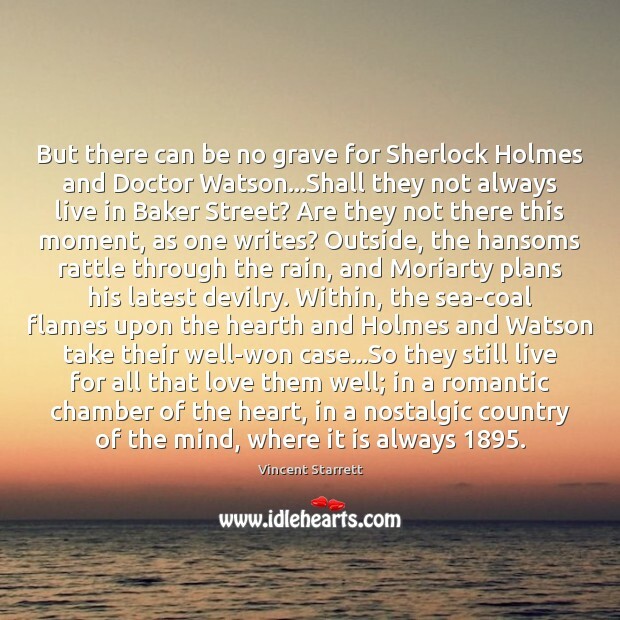 Within, the sea-coal flames upon the hearth and Holmes and Watson take their well-won case...So they still live for all that love them well; in a romantic chamber of the heart, in a nostalgic country of the mind, where it is always 1895. A Dickens character to me is a theatrical projection of a character. Not that it isn't real. It's real, but in that removed sense. But Sherlock Holmes is simply there. I would be astonished if I went to 221½ B Baker Street and didn't find him. 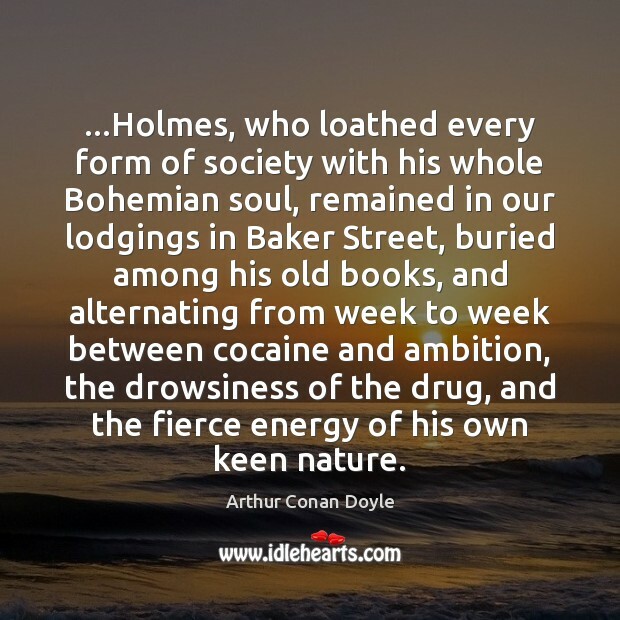 ...Holmes, who loathed every form of society with his whole Bohemian soul, remained in our lodgings in Baker Street, buried among his old books, and alternating from week to week between cocaine and ambition, the drowsiness of the drug, and the fierce energy of his own keen nature. 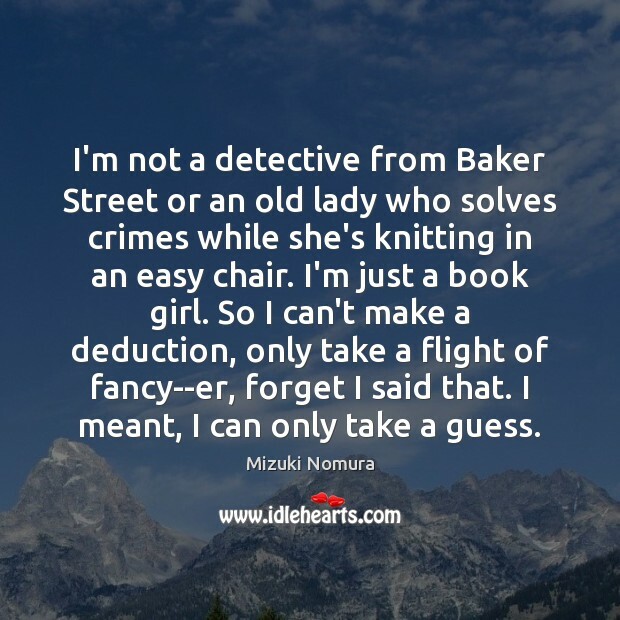 I'm not a detective from Baker Street or an old lady who solves crimes while she's knitting in an easy chair. I'm just a book girl. So I can't make a deduction, only take a flight of fancy--er, forget I said that. I meant, I can only take a guess. The sax solo as we know it today would not exist without Gerry Rafferty. 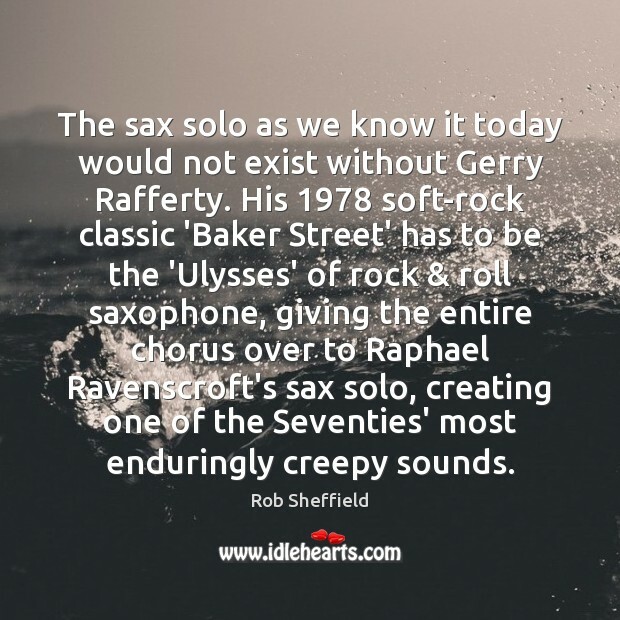 His 1978 soft-rock classic 'Baker Street' has to be the 'Ulysses' of rock & roll saxophone, giving the entire chorus over to Raphael Ravenscroft's sax solo, creating one of the Seventies' most enduringly creepy sounds.